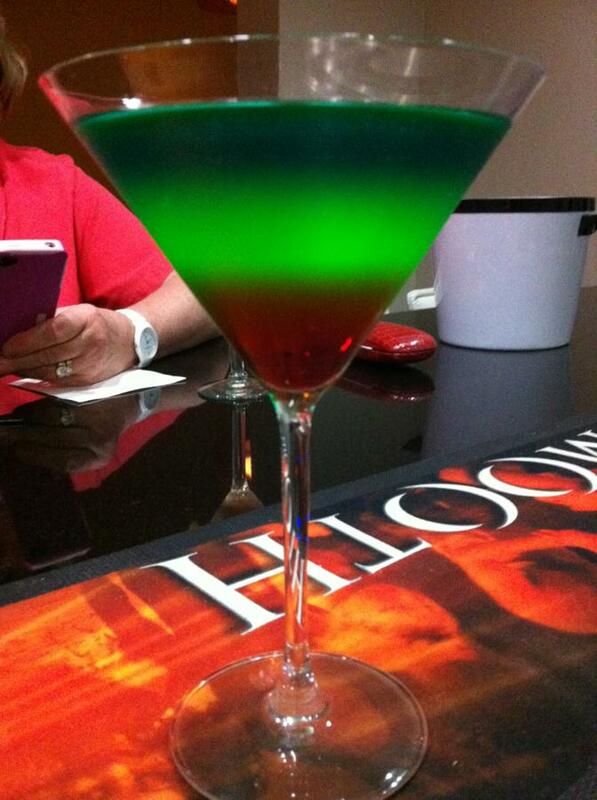 This drink will catch the viewer's eye! And is also really cool! I used to drink something like that. 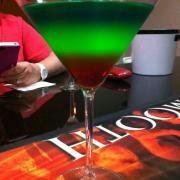 It had a blue layer and a jäger float and we took them as shots.